Cosmetic Fixer Townhouse in Fantastic Richmond Beach Community – $234,950 – SOLD, January 2019. CASH or Rehab Loan. Sold AS-IS. Unit priced for condition. This is a cosmetic fixer – home needs all new interior paint, carpet/flooring and new windows. The townhouse is located at the Brookside West Condos, a well-managed 16-unit townhouse community with many long term residents. Spacious master bedroom is connected to the 5-piece master bath. The second bedroom is loft-style. Open floor concept on main level with access to large, level and fenced in yard. Home needs TLC (new flooring, new paint, thorough cleaning, new windows). Fantastic opportunity for the right buyer who is looking for a fixer in a nice community near Richmond Beach shops, restaurants, library and not too far from Richmond Beach Salt Water Park. For more information please contact the Brooks & Heinze Team at 206.276.5827. More detailed information and additional photos click here. 1431 NW Richmond Beach Rd, Unit #1, Shoreline, WA 98177 – 2 bedrooms /1.5baths. Spacious 2 bedroom townhouse unit in lovely Colonial Square condominium. Very quiet unit with private entrance and new screen door. Beautiful laminate floors on the main level. Enjoy a cozy fire with the wood-burning fireplace. All newer stainless appliances. Walk-out to a private patio area to enjoy the outdoors. Two reserved parking spots with plenty of visitor parking. A very comfortable, bright and super cute unit. Welcome home! Open House: Saturday, October 13 from 2 – 4 pm. For more information please contact the Brooks & Heinze Team at 206.920.2541. Video Tour: Kent Townhouse video. 25812 115th Ave SE #B104, Kent, WA 98030 – 2 bedrooms /1.5baths. Wonderful mid-century rambler set high above the street. Spacious living room. Updated kitchen and baths. Light-filled dining room with sliding doors to level backyard perfect for outdoor summer fun and entertaining. 3 bedrooms on main floor plus a spacious lower level with bonus room. Enclosed carport offers additional storage or work / hobby space. Close to shops, restaurants and freeway access. 34212 S 18th Place S, Federal Way 98003 – 3bd/bonus room/1.5bths. One owner only! Lovingly maintained home. Spacious & updated kitchen. Huge dining area. Hardwoods throughout upper/main floor (under carpet). 3 bedrooms/1.5 baths on one level. Possible MIL/Airbnb with separate walk-in entrance w/ one bed/full bath downstairs. Lovely deck off the kitchen and beautiful mature landscaping. New furnace, newer roof, exterior paint, newer interior doors, new water line. Lots of upgrades. Quiet neighborhood w/ easy access to I-5 & 99 & upcoming Northgate Lightrail. For a private viewing or more information please contact the Brooks & Heinze Team at 206.920.2541. 13343 3rd Ave NE, Seattle 98125 – 4bd/2.5bth, 2-car carport. Spacious, open design, flooded w/ natural light. Designer lighting, granite & tile surfaces, ash hardwoods, natural millwork, & stainless appliances. 3bdrms, 2.5bths, +1 car gar. Close to I-5 and Northgate Park n’ Ride. Walk across the street to Jackson Park Golf Course. No Homeowner Dues. This unit is the rear Southwest unit. Private, low maintenance, fenced backyard. For a private viewing or more information please contact the Brooks & Heinze Team at 206.276.5827 or 206.920.2541. Stunning, pristine remodel in great neighborhood. Open floor plan with abundant natural light. Almost every inch has been updated, including new roof, fence, deck, paint, flooring, tile, fireplace, kitchen, and bath. Kitchen features Energy STAR stainless steel appliances and granite countertop bar. Great room flows out to large deck and private backyard with mature landscaping. Quiet street with award winning Northshore Schools and convenient access to I5/405, shopping, and restaurants. For a private viewing or more information please contact the Brooks & Heinze Team at 206.276.5827 or 206.920.2541. Open house: Saturday, June 17 from 1 – 3PM and Sunday, June 18 from noon to 3PM. 1324 233rd Place SW, Bothell 98021 – 3bd/2bth, 2-car garage. Spacious, spectacular Fremont Townhome. Framed by soaring ceilings on the upper level which features an open floor plan and views of Fremont/Ballard, Salmon Bay & Olympic Mountain from living rm, dining rm and deck. Designer kitchen with stainless steel appliances, gas cooking, slab granite counters and ceramic tile details. Spacious master suite, and two additional good-sized bedrooms. Private outdoor patio. Attached garage. Located near the heart of Fremont. Pristine, well-cared for contemporary-styled townhome. Cathedral ceilings in upstairs bedrooms with expansive closets. Bright third bedroom on lower level. Bathrooms featuring Silestone counters and beautiful tilework. Living, dining and kitchen with walnut veneer floors on main plus electric fireplace and cantilevered window. Slab granite kitchen counters, sleek euro-style vertical grain fir cabinets. Just blocks to Greenlake and Phinney shops and restaurants. Easy commute to downtown. Call Kerstin at 206.276.5827 for a private showing. Great location close to Northgate and upcoming Light Rail Station. Well maintained building with new siding, windows, roof, deck railings. Enjoy eating at the breakfast bar or getting cozy by the gas fireplace. Compact unit with good storage and an additional storage unit. Garage parking for one care and plenty of street parking available. Great investment. No rental cap! Pets allowed. Move right in and enjoy living at The Victorian. For more information, please contact Krisanne Heinze at 206.920.2541. Spacious, bright, sunny 1 bed + den condo at the Blakeley Commons, with an open floor plan, gas fireplace, gas range. Stainless steel appliances. Secure parking spot in garage and storage unit. Covered deck. Wake up to coffee at Zoka”s coffee shop downstairs; located on the Burke Gilman trail; walking distance to U-Village, Children’s Hospital and UW Campus. Building amenities include security entrances, a gym, spa, club room and guest suite. Open House: Sunday, January 15, 2017 from 1 – 3 PM. More pictures and a video are available here. Call 206.276.5827 with questions. Well-maintained Wedgwood Home on large, beautifully landscaped lot – $695,000 – Sold November 2016! Superb Wedgwood location near shops and restaurants. Wonderful, move-in ready, updated 3bed/2bth home. Inviting, light-filled living and dining room with cozy fireplace. Fully finished basement with spacious family room and large laundry room. Large, level lot with mature landscaping and grand deck perfect for enjoying the outdoors. OPEN HOUSE: Saturday & Sunday, Nov. 12 & 13 from noon to 3pm. Darling Boulevard Park Charmer – $274,950 – Sold November 2016! Welcome to this warm and charming Boulevard Park home! Formal dining room off the spacious living room great for entertaining. Large kitchen w/ adjoined informal dining room or den. Large workshop/garage and sound proof artist studio. Plus 2-car carport/covered patio. Wood burning fireplace. Gas forced air heat. Pull down staircase to attic leads to great storage or future loft bed/office. Port package windows and insulation. Large, level lot perfect for gardening, play or growing veggies. Spacious Greenwood Condo with Mountain Views – $355,000 – Sold October 2016! Spacious 2bd/1.75bth condo in vibrant Phinneywood neighborhood. Secure parking in building garage. Private patio with mountain views. Close to shops and restaurants. Easy access to I-5. Beautifully Updated Condo in Shoreline – $224,950 – Sold October 2016! 2bdr/1.25bth updated condo with easy access to amenities including the freeway, grocery stores, restaurants, Costco, movie theatre, and bus stops. Ground floor unit with private patio. Beautifully remodeled kitchen with new quartz countertops, new appliances, all plumbing updated and more. High quality laminate flooring in kitchen, dining room, living room and bedrooms. Fresh paint throughout. Laundry/utility room with high end washer and dryer and new water heater. One covered parking spot plus additional guest parking. Must see – turnkey! Click here for a video and more pictures of this condo. 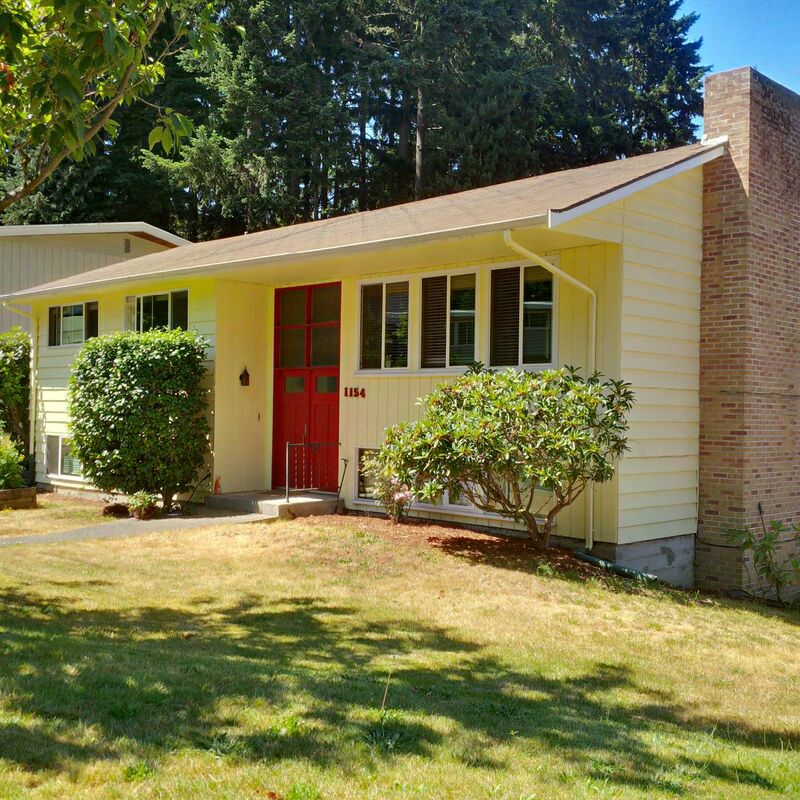 Burien Mid-century Rambler – $295,000 – Sold October 2016! $295,000 – JUST LISTED FOR SALE: This spacious 4bdr / 1.5 bath rambler is just minutes away from downtown Seattle, Burien and all major freeways! Home is nestled down the end of a private driveway. Enjoy bbqs on your large, private deck and play in the huge yard. Kitchen, dining and living room are all very spacious and flow well together. Tastefully updated flooring in the kitchen and dining room; new carpet in the living room and bedrooms. Two outbuildings for extra storage; RV/boat parking plus parking for 4 cars. Open House Saturday, Sept. 3, 2016 from noon to 3pm. Click here for a video of this home. Spacious, zero-lot line townhouse at The Reserve at Star Lake – Auburn – $299,950 – SOLD. $299,950 – You’ll love this beautiful zero-lot line townhouse at the Reserve at Star Lake in Auburn. Enjoy spacious living and an open floor plan. The master features a 5-piece bath and walk-in closet. 3 bedrooms, 2.5 baths and large 2-car garage. Easy commute via I5 or public transit (close to Star Lake P&R). Modern kitchen with huge dining room that leads out to the patio. Cooking and heat are gas. 9ft ceilings, lots of windows flood the home with natural light. Community park offers BBQ, covered shelter, basketball hoop and playground. For more pictures of the home, click here. For a video tour of the home, click here. Open House, Sunday, July 17 from 1 -4 pm. Beautifully Maintained Shoreline Home – $640,000 – SOLD July 2016. Beautifully maintained, spacious Hillwood Mid-Century home close to Syre Elementary & Einstein Middle School. Enjoy the park-like backyard setting with expansive deck and sport court great for year-round entertaining. This home features 5 bedrooms plus bonus and rec room, sauna, 2.5 baths, and 2 car-garage with large storage loft. Kitchen, dining room and living room flow together well in this popular open floor plan. Richmond Beach, Shoreline restaurants and shopping nearby. For more pictures of the home, click here. For a video of the home, click here. Open Sat/Sun July 18/19, 2015 from 1 – 4 pm. Nicely updated Westbury Condo (Northgate) $235,000 – sold June 2015. Lovely west facing unit, with spacious living room and separate dining area. Large, updated kitchen featuring ample storage and counter space plus laundry nook with full size W/D. Enjoy the sunset from your deck. Large master bedrm w/walk-in closet & full bath. Good size second bedroom & bath. Carport, storage and great location 2 blocks from Northgate Transit Center and three blocks from future Northgate Light Rail stop. Near mall, shops and restaurants. Darling, cheery, turn-key home. Pride of ownership shows! The interior has been well-kept and the yard beautifully landscaped. House sits back from the street for added privacy. The large, level backyard with patio allows for a myriad of outdoor fun and entertainment. Bright, updated, modern kitchen. Separate large living room and dining room (slider to backyard). Mid-1920’s Ravenna Craftsman – $474,950 – Sold November 2014. This Craftsman Bungalow has many original features along with recent renovations & updates. Pride-of-ownership shows in this well-maintained, turn-key property. The formal dining room has lovely built-ins and the warm living room has a mantled tile fireplace. Gleaming hardwood oak floors on main level. Inviting, low maintenance back yard with patio under lush, green canopy. Located near UW campus and U-Village, walking distance to fun restaurants & shops and across from Ravenna Park. Welcome home! 5718 25th Ave NE, Seattle, WA 98105 – 4 bdrs, 1.75 bths + detached garage. 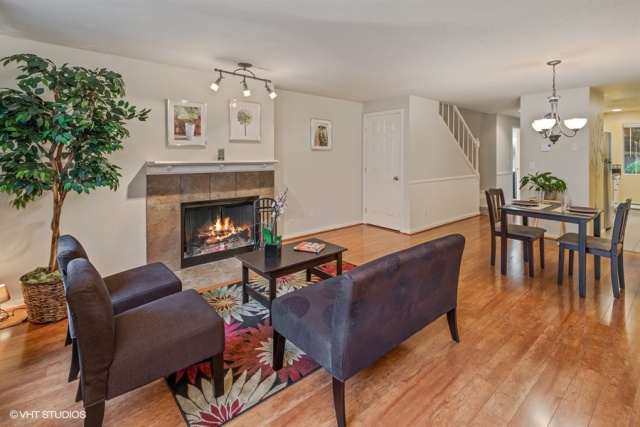 Turn-key Federal Way Split-level backing to Olympic View Park – $299,950 – SOLD October 2014! Lovely Shoreline Rambler – $349,950 – SOLD OCTOBER 2014. Spacious Charmer in desirable Gregory Heights neighborhood of Burien. Home is set above street, offering great sense of privacy. Large, level parking pad for cars, boat and/or RV. Well-designed open floor plan with updated kitchen and spacious living and dining room. Remodeled in 2010. ADU would be great for MIL, office, artist space or rental. Well maintained, newer carpet, newer appliances. Lots of extra storage in this house and in shop out back! Turnkey home – pride of ownership shows! Amazing value for 4 bed 2.5 bath home in quiet, terrific neighborhood with community tennis/BB courts & play area. Large easy maintenance patio with built-in gas for BBQ. Open and bright floor plan with formal living room & dining room, skylights, walk-in closets, master bath. New paint throughout. Upgraded hot water heater. Excellent Northshore schools. Easy access to I-405 and I-5 for easy commute. Additional features: 2-car garage, spacious low-effort patio, community play area and tennis courts, built in 2002. Walk to all Maple Leaf & Northgate have to offer including the upcoming Sound Transit Station from this delightful Bungalow on a quiet street. Relax on your deck & enjoy the extra deep private backyard. Gather in an updated kitchen, which includes new appliances, concrete counters, newer cabinets and a breakfast bar. Charming details include hardwood floors, coved ceilings, original woodwork and brick fireplace. Lower level is perfect for workshop. Updated bathroom & plumbing. Cute place! 2 bed/1 bath/903 finished SQF + basement workshop (300 SQF) and 1-car detached garage. Shoreline Townhouse-Style Condo. Amazing amount of space and lives like a house. Three bedrooms, each with their own bath (1 full, one 3/4 & one 1/2 bath). Hard surface flooring, deck off master, new concrete patio & good sized private yard area. Close to Interurban Trail, shopping & Shoreline Community College. Low dues. New roof in 2013. Vinyl siding & low maintenance landscaping. Plenty of parking. Dead end street. Terrific unit and convenient to all. HO Dues $50/month. 812 N 145th Ct. 3Bed/2.25 Bath. Spacious Capitol Hill Condo, Seattle – $375,000 – Sold December 2013. Don’t miss this. Units are rarely available in three19, a well-managed newer building. This bright & spacious SE corner unit has tons of windows, hardwood floors & two decks. It offers custom blinds, closets & light fixtures as well as a gas FP, gas range, common garage parking & full-sized washer/dryer. You will have enough storage space with a walk-in closet, coat closet, pantry (yes! ), laundry closet and a large storage unit. It shouts sophistication and style with its tasteful finishes. 1 Bed/1 Bath, HO Dues $389/month, 819 SQF.